This is the new from the last hours that shakes the latin-music world. The famous producer and owner of Pina Records - Raphy Pina has been arrested by IRS in New York. 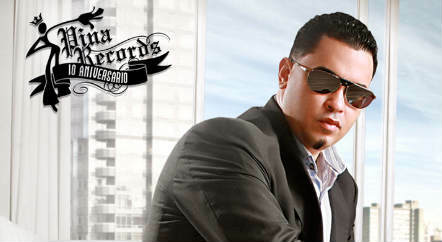 The reggaeton producer is accused in fraud and money laundering. Some sources say that he was together with Plan B - Chencho & Maldy at this time. Some fans already has made "Free Raphy Pina" campaigns over the internet. Everyone's asking what will happen to his successful company Pina Records, which produces some of the best artists in the genre like Plan B, Zion & Lennox, RKM & Ken-Y. Also the last contracts are with Jalil Lopez and one of the top artists in the genre - Arcangel. The compilation album La Formula is also one of the most awated projects in urban music. Does the arrest of Raphy Pina will affect his company, the artists and all projects that fans love. We'll stay tuned for more news.